Available Land: Approx. 2.5 ha. Quasi-industrial district, Area planning is available. Oyama City Municipal water is available. To drain after the processing (BOD 600 mg./liter or less) by each company individually. 1.3 km from JR Mamada station on JR Utsunomiya Line. 6.0 km from JR Oyama station on JR Utsunomiya Line or Tohoku Shinkansen. 1.0 km from National Route 4. 3.6 km from New National Route 4. 18 km from the Sano Fujioka interchange on the Tohoku Expressway. To be a Factories, etc. located first time in Greentown Oyama Minami. 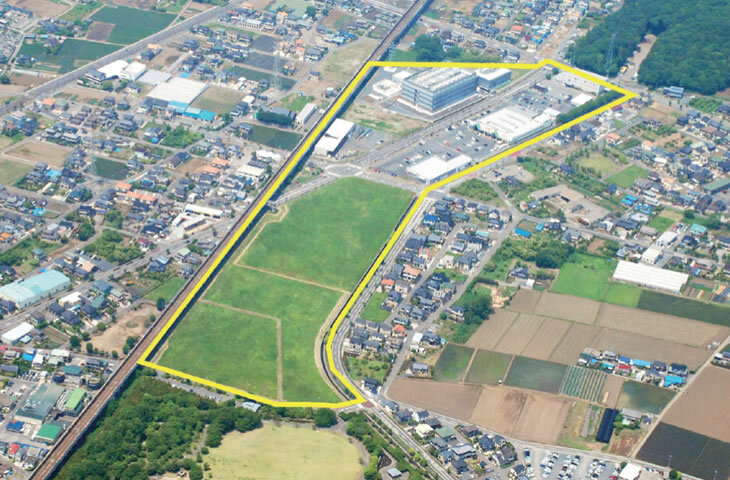 Land acquisition amount of 1.5 billion yen or more and less than 3 billion yen:20% of the land acquisition value. Redemption period：15 years（a grace period of up to 2 years). In the case enterprises, who locate first time in Greentown Oyama Minami, builds new factory, etc. , and being funded according with the rules of the Act of Industrial Promotion of Oyama City, and comply with all of the following conditions.